If you want to get different results with your dog, then you have to change what you're doing. You'll find this to be true if you want some serious alterations in your dog's behavior or you're simply looking to strengthen your emotional bond with your dog - or something in between. As it turns out, one of the biggest obstacles to doing things differently is learning how to get out of your own way - to keep from sabotaging your own efforts to change. 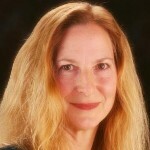 Gina Lake is an expert in teaching you how to do just that. 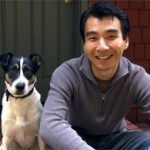 One of the great parts of releasing my online course on DailyOM.com (How to Speak So Your Dog Will Listen) was the opportunity to connect with several other course authors on that site. 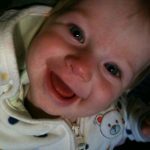 Gina Lake released her DailyOM course "How to Quiet the Mind" at the exact same time - and it immediately went to #1 on the DailyOM Top Ten list. It stayed there for weeks. I had the opportunity to chat with Gina several weeks ago, and I wanted to share the recording with you here. It has some valuable insight about how to get out of your own way. In particular, we discuss how her strategy of quieting the mind can be an effective tool to help you when you're working with your dog. With a quiet mind, you can truly be present with your dog - which enables you to respond effectively to whatever is going on in your world together. Yes, we cover all that in forty minutes! Why wouldn't you believe your thoughts? For the answer to that question, you'll have to listen to the interview. I can tell you that your thoughts about a situation are wrapped up in your own hopes/fears/dreams - the stories that you tell yourself about your life. The problem is, this inner dialogue isn't always accurate! And instead of helping you, it actually creates a barrier to experiencing what's actually happening. It's my goal to not only coach you with your dog, but also to help you master the Inner Game of Dog Training - overcoming the obstacles to change within you. To that end, I believe that Gina Lake's teachings are a great addition to your work with your dog (and your life in general). Overall I'd say Jinxsie did very well. I'd never been able to reach her when she was in the midst of a panic attack so I'm very happy about that. The big thing though was my reaction. Not once did I feel frustrated or scared. I could see that it was just energy coming out. It's that exact mindset, a quiet mind, that will help you respond in the best way possible whenever you're out in the world with your dog. So listen to the interview, and check out Gina's online course on DailyOM - How to Quiet the Mind. Like my course, it's "pay-what-you-want." Also, make sure you head over to Gina Lake's website, RadicalHappiness.com, for more information about her teachings, and for plenty of free information. Thank you Gina, for the great conversation and the helpful insight! And, as always, feel free to head on over to the Natural Dog Blog forum - to discuss this article and join the community of other people who are transforming their relationship with their dogs using Natural Dog Training.